The attention we give to our diet for a healthy body should be the same we should be giving to our diet for a healthy long hair. Especially for ladies that really desire to have a healthy long hair. There are lots of essential diets that functions effectively in that aspect and we shall be looking at some of them in this post. Thick, long and shiny hair is every woman's dream. All ladies desire for that lustrous lock, don't they? The hair of a lady have a huge impact on her overall appearance and it certainly enhances her looks. 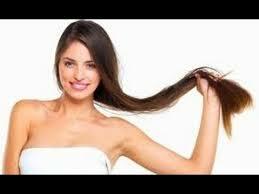 A nice looking hair can also boost her confidence level to an extent. But one thing is sure, getting the best hair and trying to maintain it is not an easy job. We all know how women love being the centre of attention at all times, they always want people to notice and appreciate them which makes them to always try as much as possible to maintain a healthy hair. A good hair reflects the health of an individual and it requires proper nourishment at all times. There are numerous foods found out there that are good for you hair, including such foods in your daily diets can result in a longer, stronger and healthier hair. If you want to maintain a healthy hair, you should ensure to include foods that are rich in protein and dairy products. Apart from these two, there are few more others that you need to include to your diet in order to get a healthy long hair mane. The following are some of the foods you need to include to your diet to achieve a healthy long hair. Vitamin C is an essential element for a healthy hair growth, because it helps to absorb the iron. So if you want to maintain a healthy hair, include more fruits such as lemons and oranges to your diet. Citrus fruits strengthens and stimulates the hair growth, thereby making the overall condition of the hair to be greatly improved. Dry fruits and nuts are not only good for our health but they are also good for the hair. Dry fruits helps in increasing the hair growth and they also nourishes the hair too. You can make from walnuts, almonds, dates, prunes. Figs and dates are highly rich in iron content which assists the hair to grow well. Fish is loaded with various nutrients that can make the hair strong by preventing hair fall. The nutrients gives the hair a nice, smooth and shiny texture. The rich omega-3 fatty acids found in fish are good for the total nourishment of the hair. Soybean is for sure on the best source of proteins. The good fats present in soybean assists in faster hair growth. It also contains 40% of proteins that helps in hair growth and nourishment. Fruits and vegetables contain all kinds of nutrients, minerals and vitamins that are necessary for a good health and hair. Foods such as sweet potatoes, oranges, banana, garlic and kidney beans provide the much required strength to the hair roots. Milk contains iron and calcium that enhances the growth of the hair. It offers a proper nourishment to the hair. Mere drinking of one glass of milk on daily basis makes the hair silky, thicker, stronger and healthier. Shrimps are rich in proteins, zinc, iron, and vitamin B12. All these elements controls hair fall and hair breakage. Including shrimps in your diet is one of the best way of promoting hair growth.